Kamaole Beach Royale est situé à South Kihei. Le bâtiment est en face de Kamaole I Beach Park. Ce bâtiment de condo est de sept (7) des histoires et est à côté de Dolphin Plaza. Piscine chauffée solaire est pas et est dans un cadre serein sur la propriété. Non fumeurs, mais il ya des zones désignées pour fumeurs. L'arrêt de bus est Maui une courte promenade. Idéalement situé pour les restaurants, divertissement et de shopping à Rainbow Plaza est à proximité. Magasin d'aliments de santé est une courte promenade. Wailea terrains de golf sont à moins de 5 miles. Great kitchen supplies, very well stocked. You can’t beat the location. It’s just a block from a great beach and in the centre of a lot of shopping and restaurants. 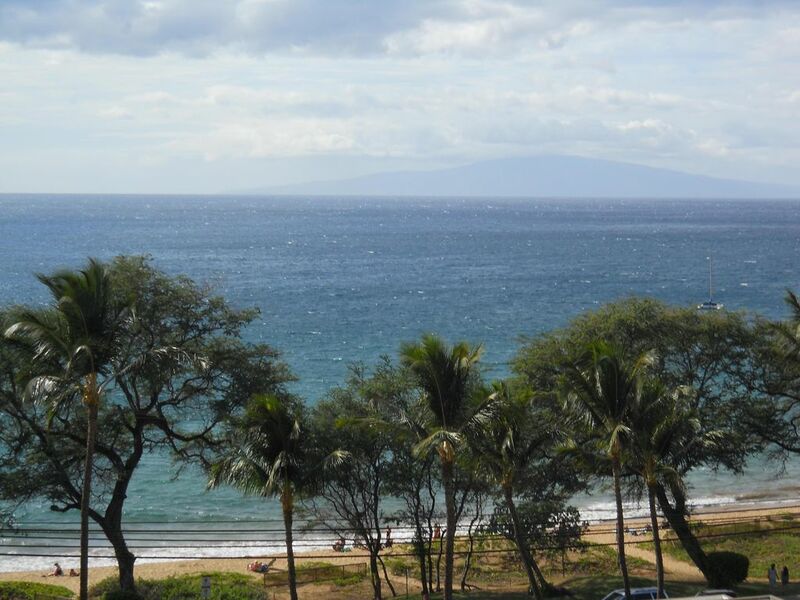 It’s far enough from Kihei Rd not to be too noisy. The pool is lovely for the days you don’t want to go to the beach. If you do go to the beach, you can rinse off all that sand at a hoseoff area at the corner of the property. This is a real plus. The seventh floor has two BBQ’s, a lot of outdoor dining space and of course, a breath-taking view. The condo itself has everything you’d need. A/C in both the living room and bedroom, WIFI, cable TV in living room and Netflix and other specialty channels on a tv in the bedroom. We felt very comfortable here and would not hesitate to rent this unit again! We truly enjoyed our stay at Carolyn's condo. The location and price is unbeatable. Carolyn was also responsive to our needs while we were there, which we were very grateful for. We would stay here again without hesitation. The condo was great! Exactly as described, great location, fully loaded and everything covered! Thank you for the great vacation rental. The condo was clean and exactly as presented. The location was perfect and all the water toys and gear were a bonus. Thank you so much! We loved our stay! The condo was perfect for our family of four (two adults and two little kiddos). The kitchen and laundry were a lifesaver! The unit is spacious, clean and very well maintained and stocked. The location was fantastic! I can’t say enough good things about it and would highly recommend it to anyone! Idéalement situé et pratique pour les magasins, les restaurants, les marchés et de divertissement. Cove Park Beach et Kalama Park est à travers la rue. Condo est remodelé, confortable et décoré avec goût. Situé sur South Kihei Road qui est une limite de vitesse de 20 mph. Condo est en face de l'océan. Condo a vues dégagées sur l'océan. Registration form must be filled out in the lobby. there is a managers box to deposit form into. The lobby desk does not manage this apartment.